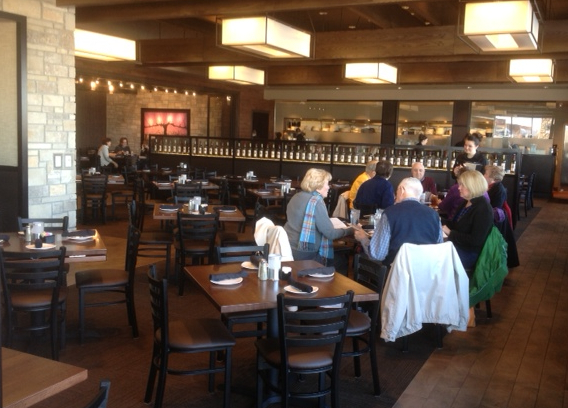 Cooper’s Hawk Winery and Restaurant is new in West County at Town and Country Crossing. That’s the center on Clayton Road, just west of 141, that has Whole Foods. Yes, it’s a winery. No, they don’t make wine in West County, but they sell it. 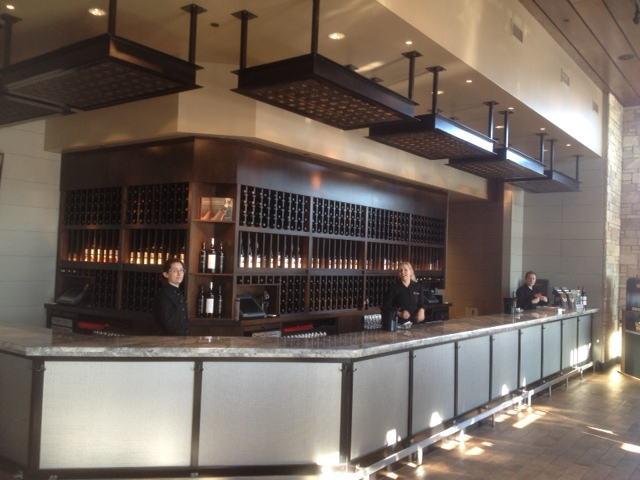 In fact, the first thing you see when you walk in is their wine store. 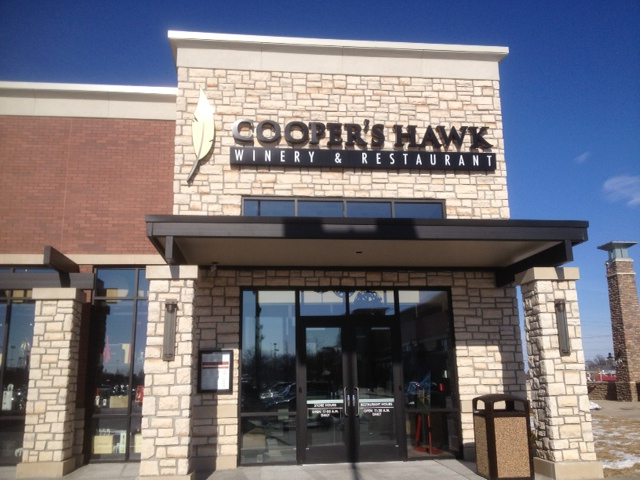 The wines Cooper’s Hawk sells in the store are made at their winery in suburban Chicago. (Grapes are sourced from all over.) But, first let’s go inside the restaurant. Decor is modern, with wood, stone and lots of earth tones. It’s bright in the daytime, thanks to windows all around. I like the way they use the wine bottles as part of their room divider. 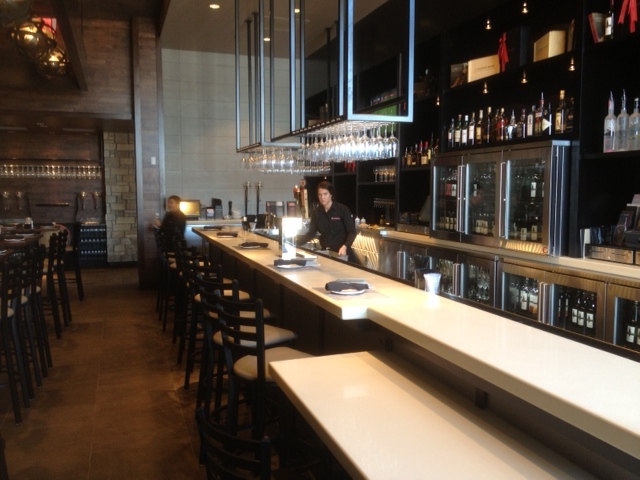 Cooper’s Hawk has a beautiful bar (shown below) which offers a decent selection of beer and cocktails, as well as wine. 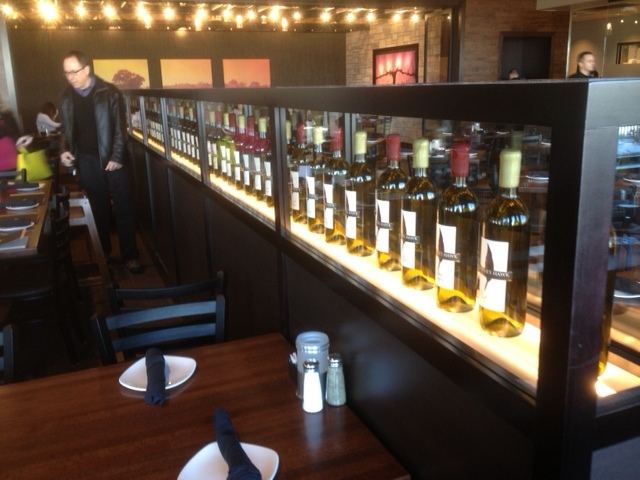 I enjoyed a glass of Lux Meritage Red from their wine menu. 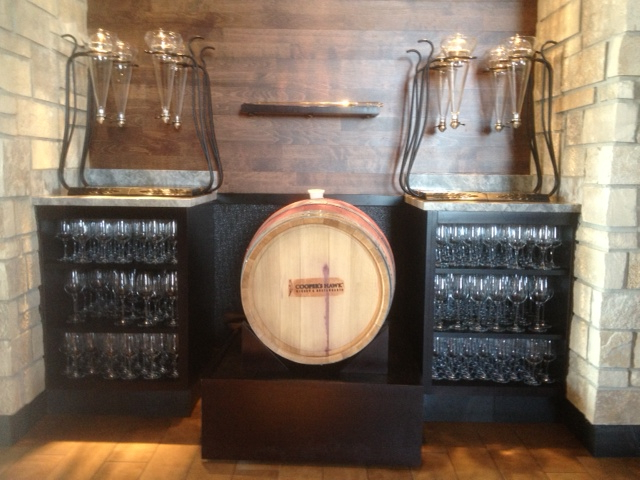 Cooper’s Hawk also has a Winemaker’s Barrel Reserve red wine that skips the bottle and goes straight from the barrel (shown below) to your glass. As you leave, you pass through the store again. If you enjoyed the bottle of wine you had with lunch or dinner, you can buy a bottle or three of that very wine to take home with you—at a lower price than you paid in the restaurant. 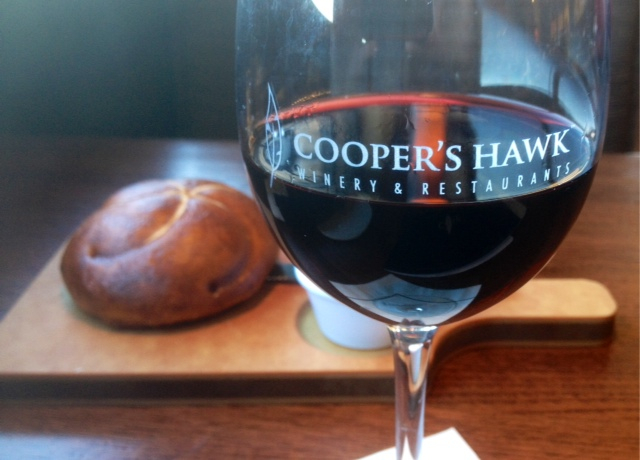 Cooper’s Hawk in Town and County is, by my count, their 13th winery/restaurant. It’s a clever concept, in a beautiful space. 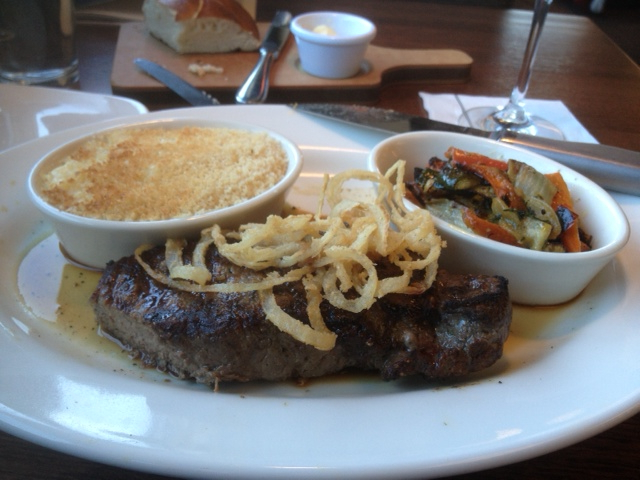 And it adds to the ever growing list of better restaurants in the county. Click HERE to go to the Cooper’s Hawk website.